We are only days away from Super Bowl XLVIII and, as always, companies try to promote their products to millions of viewers and boost sales through commercials that will be broadcasted during this major event. Earlier today, several of these companies released their full-length advertisements to capitalize on the pre-Super Bowl buzz that is created on social media platforms, and we already have a favorite! 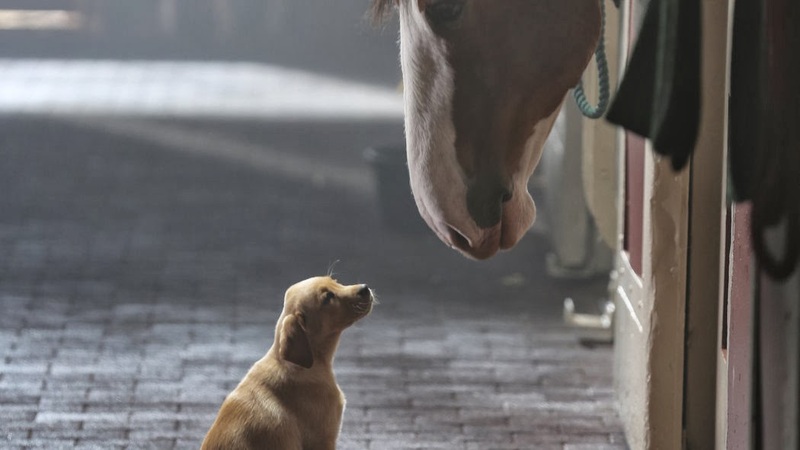 Budweiser's "Puppy Love" ad, which features the story of the interspecies friendship between a puppy and a horse, as well as the importance of finding the perfect match is making hearts melt all over the Internet. Watch this cute Golden Retriever showcase his talent by working together with magnificent Clydesdale horses in Budweiser's adorable "Puppy Love" commercial.